Received this today from Upper Deck. First UD NPN in a long, long time. I don't know what is special about it other than a RC? Can't see the image anymore, but it could be a quad diamond rc which are inserted 1 per box. 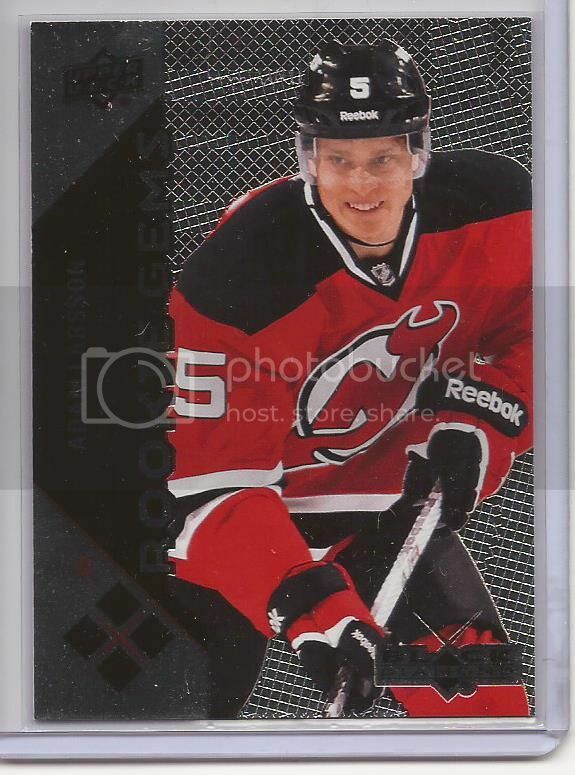 There are also parallels that are numbered on the back and have different colors on the front. Probably a quad rc, nice for free. Nice quad for free, Congrats! BV $20, not bad for an online submission. I am confused about the "quad" part. Please explain as I don't collect hockey. It's not a GU and I don't see a serial number. On the lower left front of the card you see the 4 diamonds in black, those indicate the "rarity" of the card and that it is a 4 or quad diamond card. If it was a single diamond card only one diamond would be black the rest would be hollow outlines or not there. You can also go by card number. This set generally runs that the base are all single diamonds generally 1-90 (only one diamond blacked in or shown depending on year), the double diamonds go from 91-130, triple diamonds are 131-170, and then the quads are from 171-210. Some sets have a different numbering scheme, but the majority run in these types of ranges with the highest card numbers being quad diamonds which are the "best" rookie prospects and superstars like Gretzky, Howe, Orr, etc. Thanks for taking the time to answer and explain it. I appreciate it and will remember it.